The golden age of audio dramas arguably ended in the 1950s, when television established itself as the dominant home entertainment leader and many of radio’s top shows and stars jumped ship to the new medium. Just as Norma Desmond’s silent films were undone by the introduction of sound, the great radio shows of the 1940s were largely made obsolete by the introduction of picture. Gone were the days of shows like Inner Sanctum Mysteries (1941-1952), a horror anthology that brought listeners a different tale of terror in each episode. Gone, perhaps, but not forgotten. Some audio drama revivalists have kept the form alive at sites like the fan-supported Chilling Tales For Dark Nights. Drawing on the talents of both professionals and volunteers, the Chilling Tales team is dedicated to creating new, high-quality, audio-only dramas. 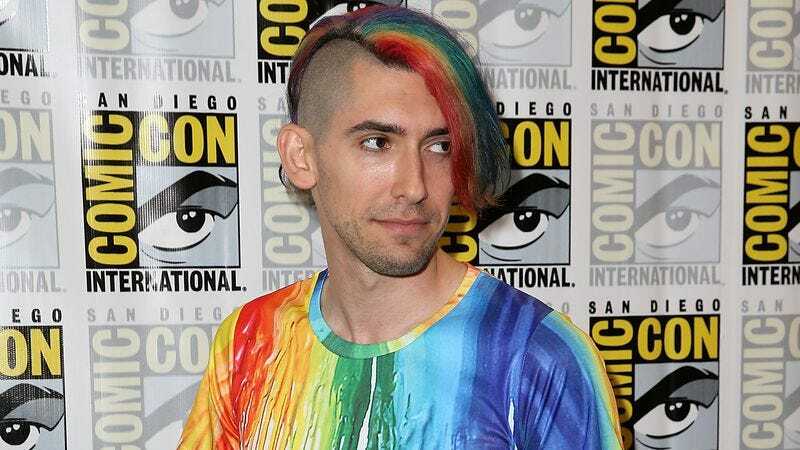 One recognizable name attached to Chilling Tales is that of Max Landis, son of John and screenwriter of Victor Frankenstein, Chronicle, and American Ultra. Recently, Chilling Tales did a full-fledged adaptation of a Landis-authored story called “A Bad Encounter With An Actress At A Casting Agency.” Landis first shared this blood-soaked tale of showbiz despair via Reddit, where he is an active user, but now it’s been given the full Inner Sanctum treatment, complete with narration and music. “A Bad Encounter” takes place in a milieu Landis obviously knows well, i.e., the world of aspiring Hollywood screenwriters. The story’s young narrator has gotten his foot in the door with his early scripts and is now attending a series of so-called “general meetings” with executives at various studios and production companies. In truth, he doesn’t mind it, since he’s inordinately fond of Hollywood’s baffling traditions. This is not a ghost story, per se, but Landis does describe Los Angeles as a town that is haunted by its own past. The narrator points out the disused marquees that still hang over defunct movie theaters that have now been clumsily converted to stores and restaurants. But the “encounter” that gives the story its title occurs between the young screenwriter and a would-be actress who has migrated to Hollywood from Texas. Something is definitely off about this young lady, and it’s probably not a good sign that the narrator occasionally digresses from his thoughts to talk about how sharp teeth are or how much blood is in the human tongue.